John Raddall is CEO of Quanta Consulting (Pty) Ltd, a company he founded in 1992. Quanta specialises in the development of leaders, their teams and their organisations. Quanta has developed its own unique brand, philosophy, methods and tools to both measure the energy of leaders and organisations, and very specific and practical tools for increasing both energy and performance. Quanta’s methods and tools have been used in South Africa, the Czech Republic, Germany, Greece, Denmark, Australia, New Zealand, Hong Kong, US and UK. Quanta base their specialised approach on their simple systems model, which shows leadership energy as the primary driver of organisational energy and performance. Their research shows a strong and positive correlation between the level of leadership energy and organisational energy on the input side of the equation with customer satisfaction and profitability on the output side. The Quanta philosophy is straightforward and practical. As leadership energy is the primary driver of all organisational performance, the best way to increase innovation and performance is to increase leadership energy. Quanta does this through the application of their own customised assessment tools and the implementation of their unique behavioural change methodology. John has a Bsc (QS) degree from the University Of Cape Town and a Masters in Business Leadership from UNISA, which he passed with distinction. John’s early work experience was with a multidisciplinary firm of consulting engineers, Zakrzewski Associates, followed by a stint with the Council for Scientific and Industrial Research (SA). 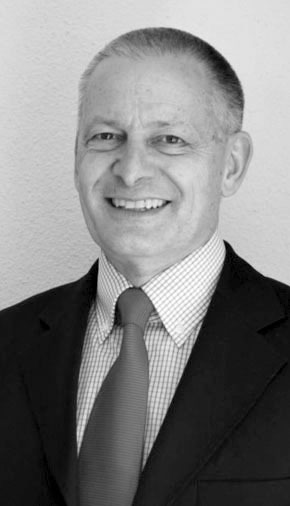 His consulting experience started in 1989 with the Hay Group, a global organisational development consultancy, where he was Director Strategy. In 1992, he launched his own company, Quanta Consulting (Pty) Ltd.
John has also guest lectured at six internationally recognised business schools. John has worked with a very wide range of corporate clients, executive teams, senior managers, employees and labour unions. Clients include airlines, banks, insurance, IT, construction, telecommunications, retail, wholesale, engineering, education, energy supply companies, and government. We live on a small planet circling one of a billion similar suns in a relatively lonely corner of just one of several billion galaxies. We have but one chance as a species to explore the magic of our universe, to learn and to grow. John’s vision is to help leaders on this unique journey of life. Exploring possibility, innovation, courage, chivalry, integrity, fun. “The only thing I know is that I know nothing!“ Socrates.